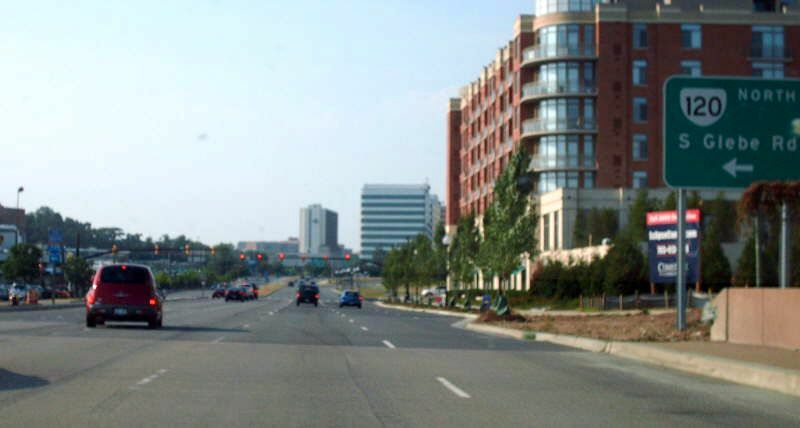 US 1 at Crystal City, VA VA 123 at Chain Bridge to Washington, D.C.
From northbound US 1. Photo by Mapmikey, taken July 10, 2007. Looking down VA 120 from US 1. Photo by Mapmikey, taken July 10, 2007. From northbound VA 123. VA 123 continues left to the Chain Bridge to Washington DC. 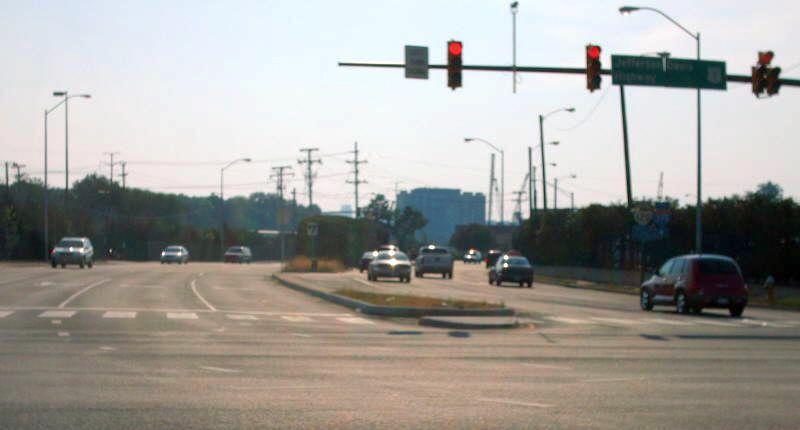 VA 120 begins to the right. Why VA 123 makes this turn instead of VA 120 continuing to D.C. is a complete mystery to me, although in the mid 1920's VA 25 and VA 251 had this same setup. Photo by Mapmikey, taken August 31, 2006. 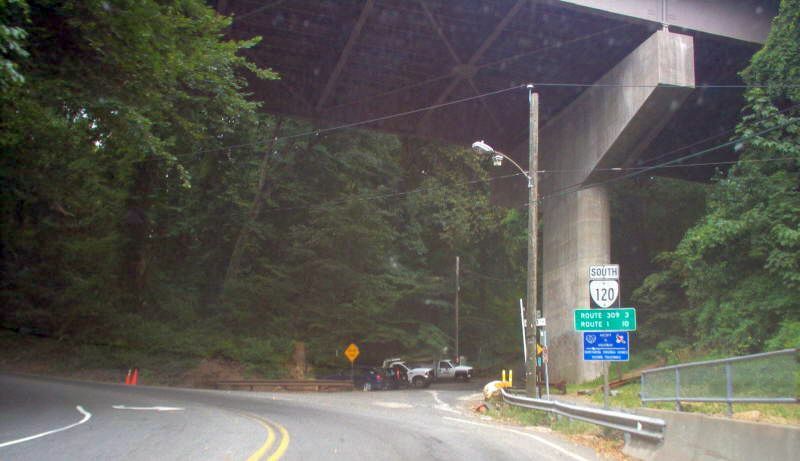 Heading down VA 120 from VA 123. The bridge way overhead is the George Washington Parkway. 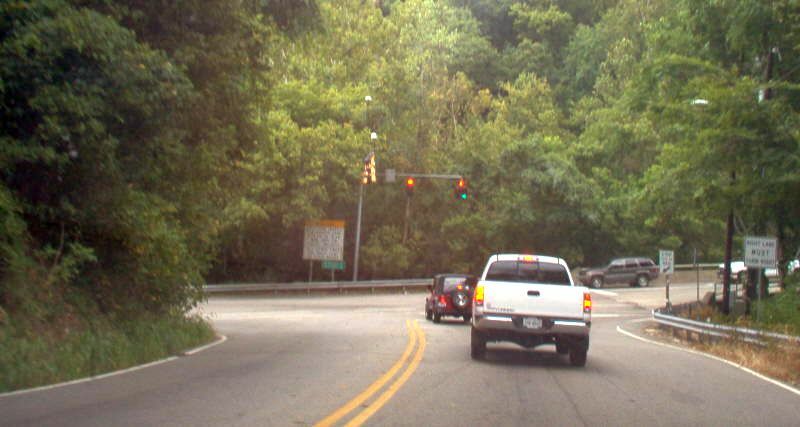 VA 120 climbs a steep and winding ridge to get to Arlington. Photo by Mapmikey, taken August 31, 2006. Approaching VA 123 from VA 120 northbound. Photo by Mapmikey, taken August 31, 2006.